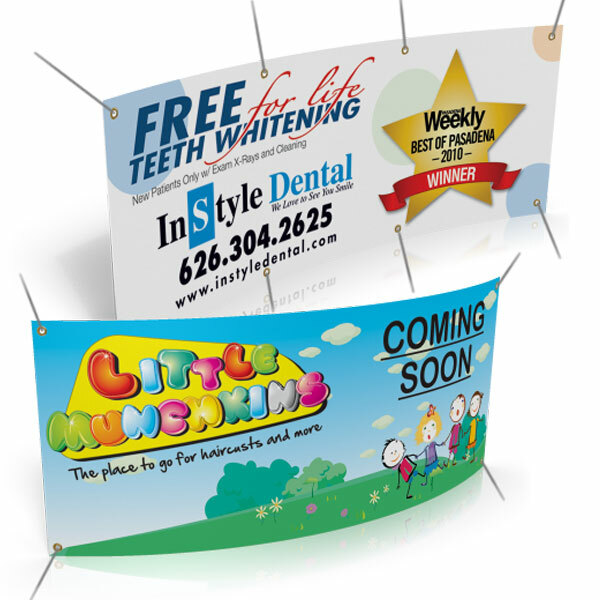 Banners are hard-to-miss advertisements that attract passers-by. Foot or car traffic are bound to catch a glimpse of your sign, and as a result, can turn into customers. They’re very cost-effective and good investments because they have a long shelf life. Extremely invaluable for new businesses who need to advertise BIG. Design and display for exhibits, grand openings of businesses, graduation parties, political campaigns, or as welcome signs. Our banners are very resilient and can withstand harsh weather conditions such as wind and rain. 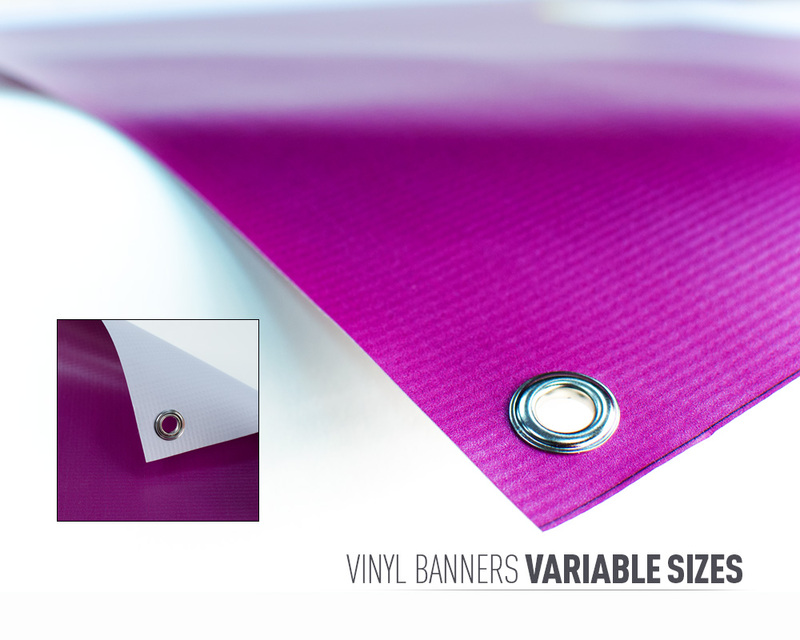 They’re long-lasting so you can rest knowing your banners will stay intact and stable for a long time, rain or shine. We print our banners on digital printers that use Eco-Solvent inks for a greener environment. Eco-solvent ink is combined with a pigment and resin/glue, which allows the ink to adhere to the surfaces that are necessary for outdoor use. All of our banners are printed on fire-retardant media. Our banner media is very durable outdoors and indoors. If properly taken care of, banners can last several years. Sent taped and grommeted with brass grommets. Grommets – Every 2ft option follow this format for grommets: 4-6 feet have 6 total grommets. 7-8 feet have 8 total grommets. 9-10 feet have 10 total grommets.